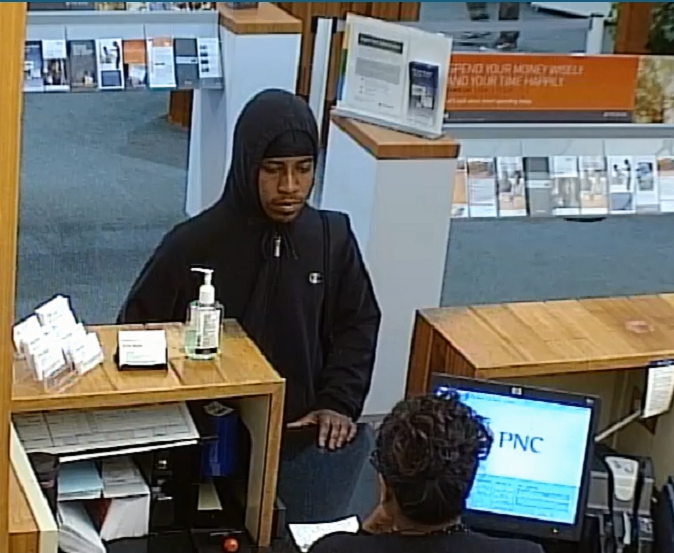 The Fredericksburg Police Department is seeking the public’s assistance in identifying a suspect for a robbery that took place Thursday at PNC Bank at 2403 Fall Hill Avenue. 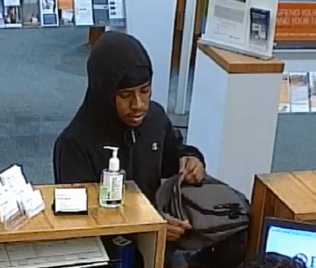 An unknown male entered the bank and demanded money. The bank teller handed over money and the suspect fled on foot in an unknown direction of travel. No bank employees were harmed during the incident. Patrol units and Detectives responded to the scene, along with a K9 unit. 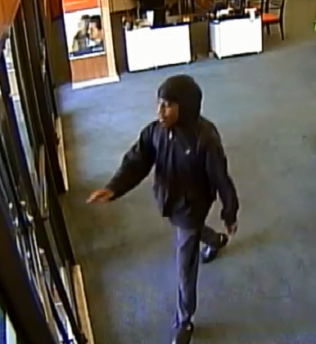 The suspect is described as a black male in his 20’s approximately 5’2-5’6, weighing between 150-160 pounds and was wearing a black sweatshirt with the hood up, sweat pants and black shoes. The investigation is ongoing. Anyone with information is urged to call the Fredericksburg Police Department at 540-373-3122.